I picked up Rio on Halloween day 2009! My little guy isn't so little any more. He is turning into a very handsome boy. He has filled out and reached a nice weight of about 67lbs. Rio is a gorgeous boy with VERY unique coloring. 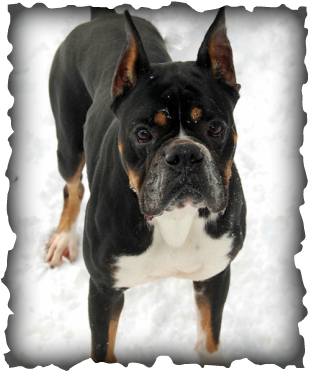 He is a Pure Bred Black and Tan Boxer! He has NO brindle stripping. 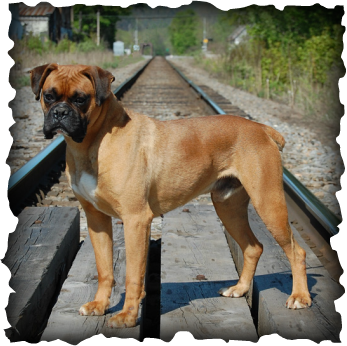 Black/tan boxers are very unusual and I have not seen very many dogs of this color in the boxer breed so when I saw him advertised it was love at first sight and I snatched him up as fast as I could. 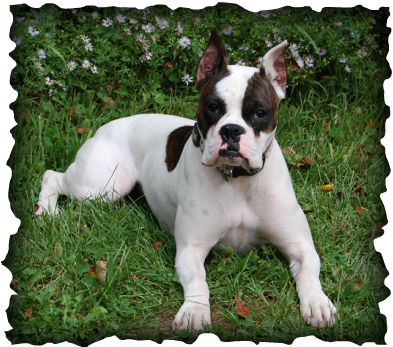 He should produce lots of colors including: classic, check and flashy black/tan, classic, check and flashy black/brindle, classic, check and flashy brindle, classic, check and flashy fawn and white . Sorry, Rio is not available for stud service. 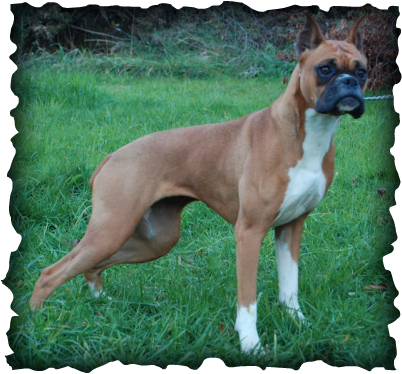 This is the dog that started my love for Boxers. Jetta is an awesome dog. I went to PA to get her when she was 8 weeks old. She is so much fun and has got so much energy, I wonder if she will ever slow down! Jetta had her final litter January 17, 2014. She is now spayed and is my favorite couch potato. She is super out going and a very smart puppy! 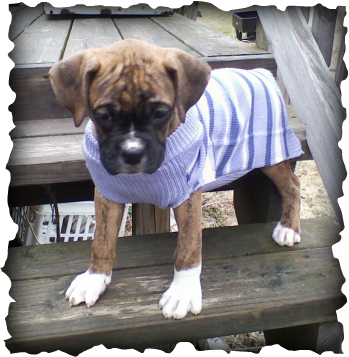 Lady Bug is my pick puppy out of Keefers Jet Stream and Brutus Levi Siders. She is the perfect combination of both Jetta and Levi's personalities. 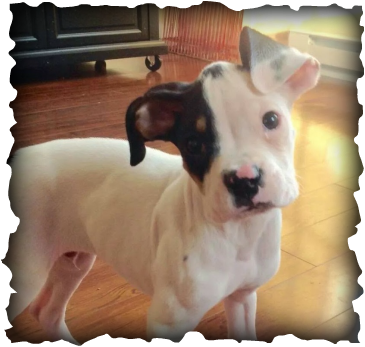 This little guy is super spunky and loves to play! He is going to be very small for a Boxer. He is 5 months old and only about 15 lbs.